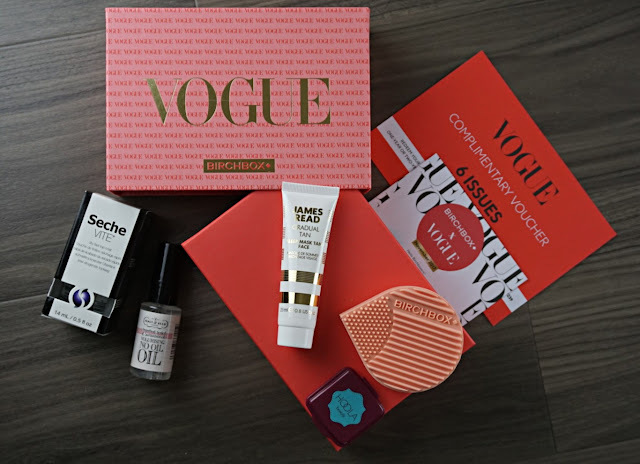 Lo and behold ladies and gentlemen, probably ladies sorry gents, I hereby present to you the November Birchbox. This months expectations were very high as Vogue only represents the best of the best but the true question is. Did they manage to impress or depress me??????????????? Lets start off by mentioning that the products within this box were picked from the Vogue 100 Beauty Hall of Fame. This item can be purchased from birchbox.co.uk. I received it at the end of the first week of November. I was told I would also get a complimentary spectrum brush. Was it included? well, unluckily no. This item is made out of soft compound rubber. It is a Birchbox exclusive. It consists of different patterned grooves to allow you to clean brushes with ease. Yes it does, you have to rub the bristles onto the brush cleaner, be sure to apply some soap or specific brush cleansing solutions and voila' let the brushes dry out to get your brushes clean. Cleaning brushes is more important than you think as bacteria and impurities will accumulate and be the source of breakouts or even infections. 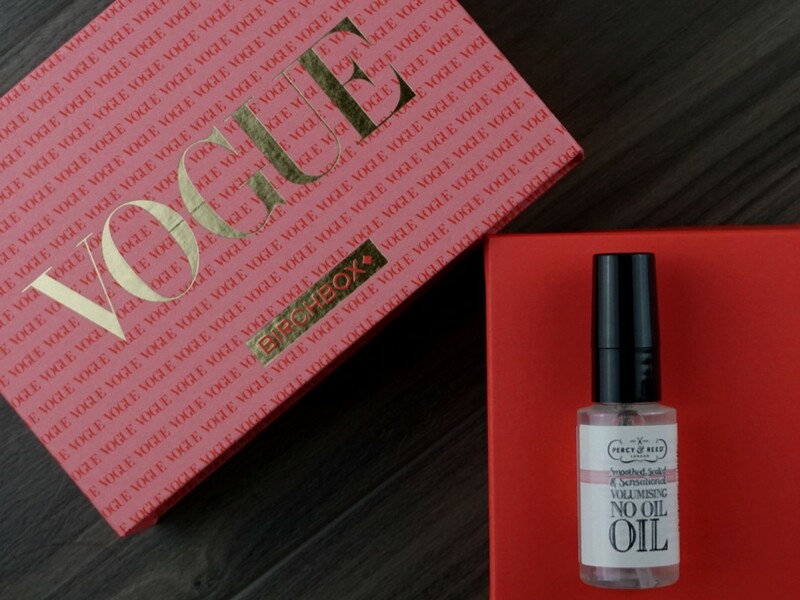 According Jessica Dine, The Vogue Beauty & Lifestyle Director, it's a high quality top coat that manicurists swear by. I did test it out and yes it does dry out very quickly, if you reapply it mid-week you will find that you manicure lasts longer. Would I go out of my way to purchase it? Well, I hate to admit but I probably wouldn't, some lower priced brands have the same exact product at half the price. The packaging is simple yet cute. The product is a cream/gel consistency of white colour. The sample contains 25ml of tanning agent. What surprised me is that it was odourless. It's a gentle overnight mask effect tanning agent which promises to not stain your bed sheets and provide a subtle glow. They recommend you use it once a week and all you need is a thin layer. I am not one that tans at all as my skin is very delicate and unfortunately only tried it onto my hand and yes it subtly tans. You will get a shade darker. The big question on everyone's minds probably are, was it a patchy tan or flawless? Did it transfer? It wasn't patchy at all , it provided just a slight one shade darkening and it did not transfer as the consistency of the product allows it to be absorbed very quickly. My skin luckily did not dry out after usage and had no reaction to it, probably because it is not a harsh product. I also noticed that if you exfoliate it will come off. Yes, the name is a mouthful. It smells incredible to be honest, I think it may have violet essence within it and the product is intended for use on towel dried hair. You will only need 1 to 2 drops, so the product may last you quite some time. The consistency is almost like that of a serum, at first slightly sticky but then becomes satin as it dries out. It protects against styling heat and nourishes the hair through it's ProVitamin B5. Unfortunately, I did not notice any considerable difference nor improvement but it may well be that it's because continued use is indicated. I probably would not purchase this item as I prefer a moroccan oil type serums and oils as my hair is dry from colouring and styling. I think this product would better suit people with very oily hair. 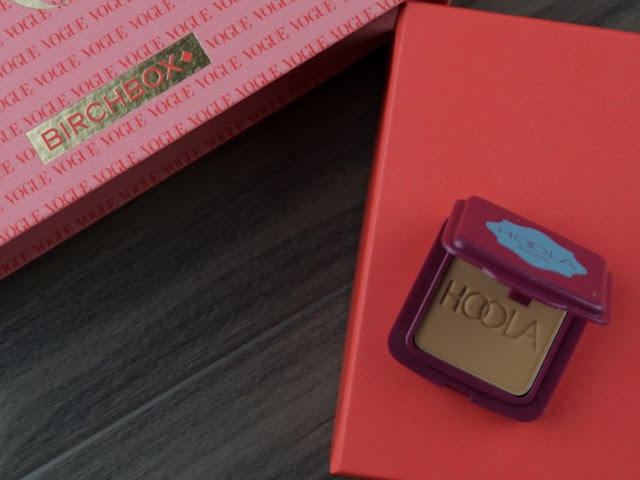 Believe it or not it's the first time I got to test Benefit's Hoola bronzer. It is matte which I love as I have combination skin and the last thing I want is to look a shiny mess. I love the tone of this bronzer as it doesn't have that grey undertone that most bronzers have. I am glad this little gem was included. The best part to this item is that it is so highly pigmented that you would barely need to brush on it to acquire that bronzed queen definition. I am completely in love with this product and would most definitely look into purchasing it. It's sad to say I was depressed and not impressed by the contents of this box. 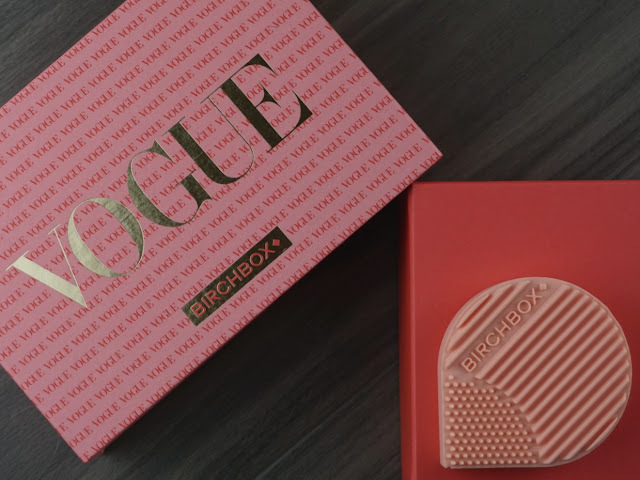 This was because my expectations were set high for this Vogue collaboration, which did not work to Birchbox's favour. 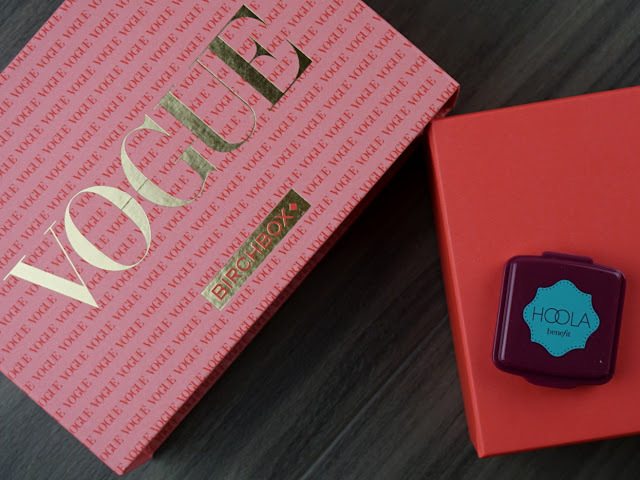 When you see Vogue in an edition you expect excellence and the only item I would actually purchase is the Hoola bronzer from Benefit, other that unfortunately I WOULDN'T purchase the other items. As I mentioned before, I did not receive my promised Spectrum brush and noticed that other people got better or different products. 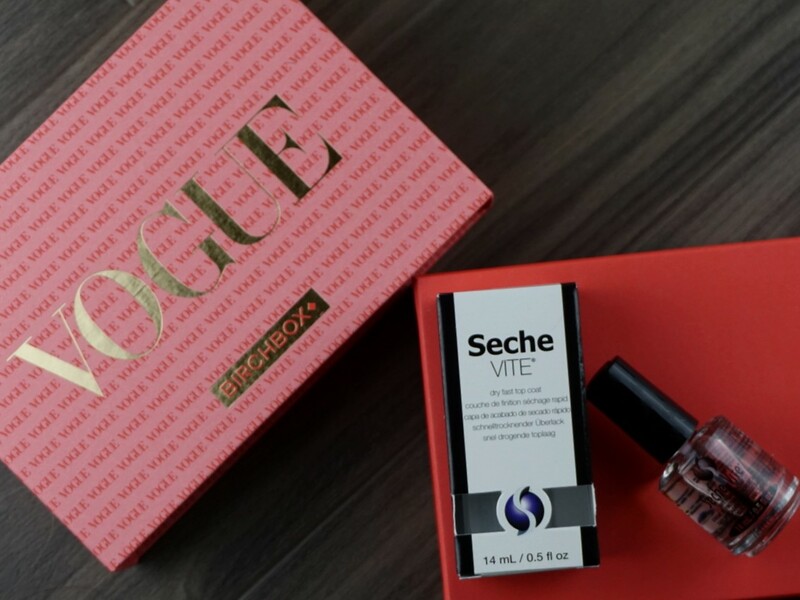 I wanted to give Birchbox a chance and have tried out 3 beauty boxes to make sure I was going to continue my subscription. It is with much regret that I DID cancel it as I don't feel it's worth it to me personally. However, if you do like a little monthly treat for yourself or a teenage girl, this may be the box for you. My choices are based on personal preference, one of the most important factors in my evaluation is quality versus price. Hence, if it's financially worth it I will make sure I invest in a product. WHAT DID YOU THINK OF THE CONTENTS? IMPRESSED OR DEPRESSED? WOULD YOU SUSCRIBE? 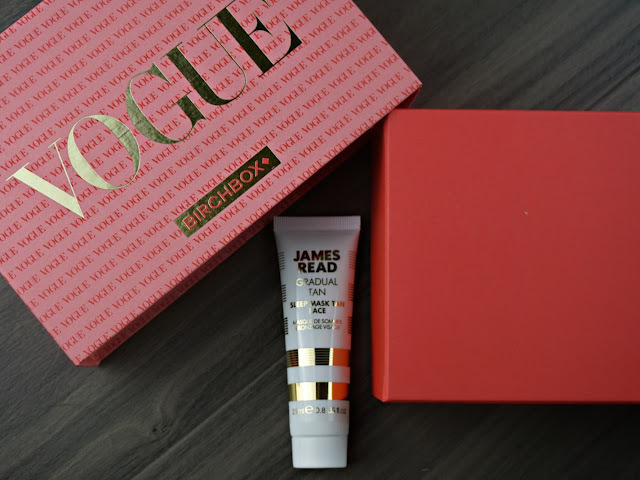 I think its such a great little treat for some but found it underwhelming given it's a Vogue collab. Other influencers hype up products that are just not worth it and then we end up wasting money. I love your blog! It is super beautiful!